The stunning sights and sounds of a Nigerian wedding are vividly brought to life in Ifeoma Onyefulu's new picture book. The different traditions and customs of this African wedding are explored and explained through the eyes of one young spectator. We see the preparations made by the whole community in anticipation of the traditional African ceremony and second religious ceremony. Ifeoma Onyefulu was brought up in a traditional village in Eastern Nigeria. After completing a business management course, she trained as a photographer, contributing to a number of magazines. 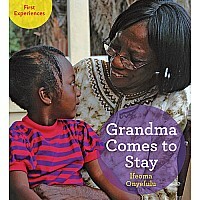 Ifeoma's highly acclaimed children's books are renowned for countering negative images of Africa by celebrating its traditional village life. Her work has been admired at many exhibitions. 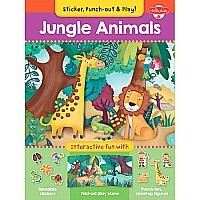 A is for Africa, her first book, was chosen as one of Child Education's Best Information Books and Junior Education's Best Books. 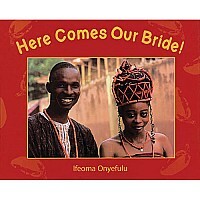 She has twice won the Children's Africana Book Award: Best Book for Young Children in the USA for Here Comes Our Bride! in 2005 and Ikenna Goes to Nigeria in 2008. Ifeoma lives in London. 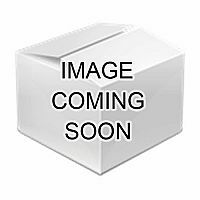 Measures approximately: 0.25 x 8.50 x 10.75 inches..